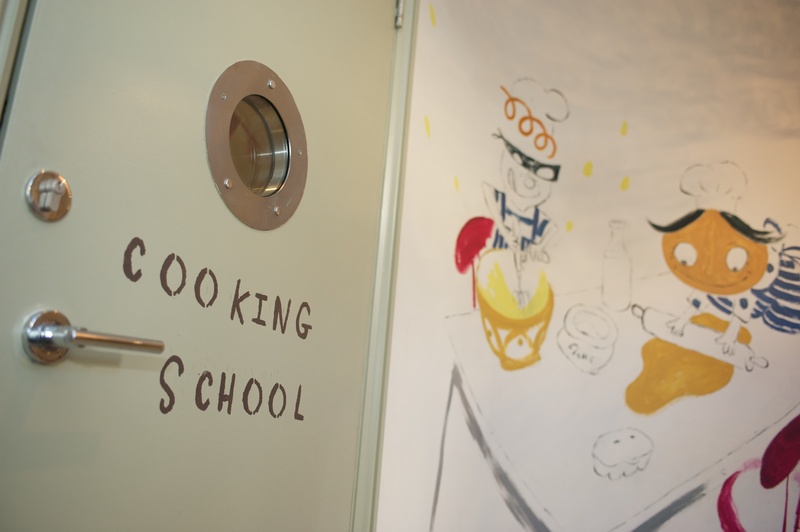 Here is the first recipe we tried out over at the Tesco Real Food Cooking with Kids event. Click here for the Beetroot and Chocolate Muffin recipe we made for pudding. 2. Cook onions in a large knob of butter until soft and turning golden. Add garlic and cook for a couple of minutes. Add spinach in batches and cook until wilted. 3. Cool, then tip into a bowl (leaving behind any excess liquid from the spinach) and mix in the nutmeg, feta, eggs and season. 4. Melt 30g more butter and butter a non-stick springform cake tin, about 20-22cm. 5. Put the first sheet of filo in the tin and brush with butter, letting the excess hang over the edges of the tin. 6. Keep going with the rest of the sheets, turning a little before adding each additional pastry sheet and brushing all over with the butter, when all the pastry is used up, tip in the filling and fold over the excess pastry to cover. 7. Butter the top then bake in the oven for about 20-30 minutes until the filo is crisp and golden. 8. Leave for a few minutes before turning out and cutting into wedges to serve.